When you pass away, your family may need to visit a probate court in order to claim their inheritance. This can happen if you own property (like a house, car, bank account, investment account, or other asset) in only your name. Although having a will is a good basic form of planning, a will does not avoid probate. Instead, a will simply lets you inform the probate court of your wishes – your family still has to go through the probate process to make those wishes legal. Now that you have an idea of why probate might be necessary, here are 3 key reasons why you want to avoid probate if at all possible. 1. It’s all public record. Almost everything that goes through the courts, including probate, becomes a matter of public record. This means when your estate goes through probate, all associated family and financial information becomes accessible to anyone who wants to see it. This doesn’t necessarily mean account numbers and social security numbers, since the courts have at least taken some steps to reduce the risk of identity theft. But, what it does mean is that the value of your assets, creditor claims, the identities of your beneficiaries, and even any family disagreements that affect the distribution of your estate will be available, often only a click away because many courts have moved to online systems. Most people prefer to keep this type of information private, and the best way to ensure discreteness is to keep your estate out of probate. 2. It can be expensive. Thanks to court costs, attorney fees, executor fees, and other related expenses, the price tag for probate can easily reach into the thousands of dollars, even for small or “simple” estates. These costs can easily skyrocket into the tens of thousands or more if family disputes or creditor claims arise during the process. This money from your estate should be going to your beneficiaries, but if it goes through probate, a significant portion could go to the courts, creditors, and legal fees, instead. Of course, setting up an estate plan that avoids probate does have its own costs. Benjamin Franklin wrote, “an ounce of prevention is worth a pound of cure.” Like the “ounce of prevention,” costs you incur now to put a plan in place are more easily controlled than uncertain costs in the future, especially when you consider your family may be making decisions while grieving. With proper planning, you can minimize the risk of costly conflict and also reduce or eliminate some costs, like court costs and executor fees; if there’s no probate case there won’t be any probate costs. 3. It can take some time. While the time frame for probating an estate can vary widely from county to county and by the size of the estate itself, probate is not generally a quick process. It’s not unusual for estates, even seemingly simple or small ones, to be held up in probate for 6 months to a year or more, during which time your beneficiaries may not have easy access to funds or assets. This delay can be especially difficult on family members going through a hardship who might benefit from a faster, simpler process, such as the living trust administration process. Bypassing probate can significantly speed the disbursement of assets, so beneficiaries can benefit sooner from their inheritance. If your assets are located in multiple states, the probate process must be repeated in each state in which you hold property. This repetition can cost your family even more time and money. 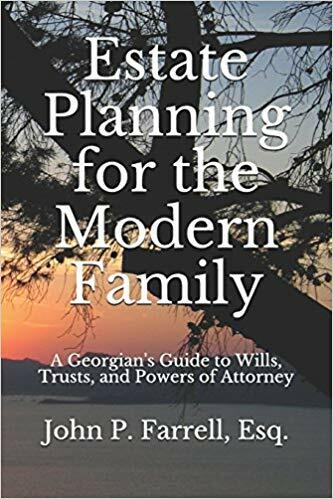 The good news is that with proper trust-centered estate planning, you can avoid probate for your estate, simplify the transfer of your financial legacy, and provide lifelong asset and tax protection to your family. To learn more, call us for an appointment. One of our experienced attorneys will be happy to strategize with you.